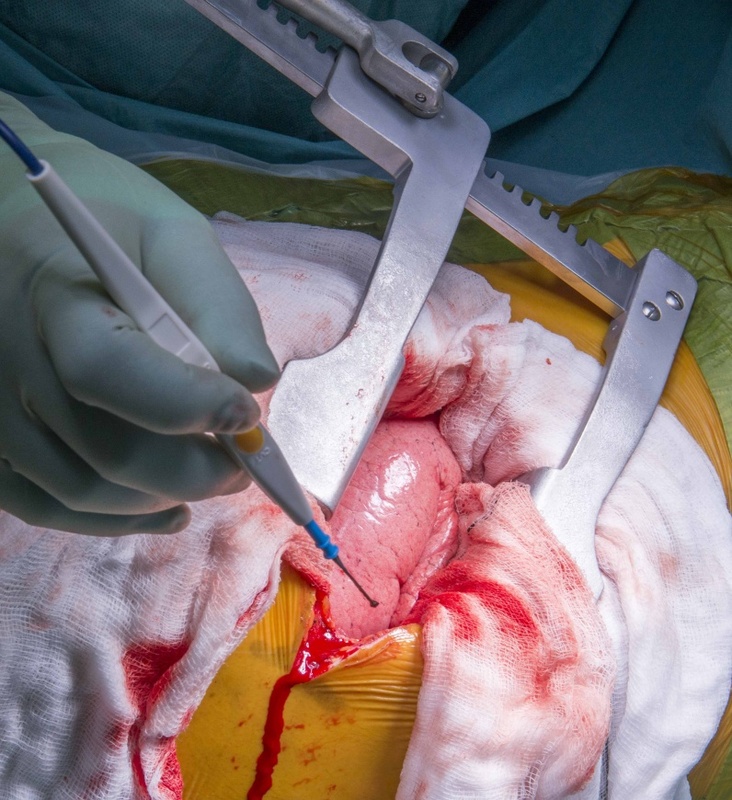 Learn the Thoracic discectomy (access by thoracotomy) surgical technique with step by step instructions on OrthOracle. Our e-learning platform contains high resolution images and a certified CME of the Thoracic discectomy (access by thoracotomy) surgical procedure. Giant herniated thoracic discs are an uncommon finding that can present with myelopathic or more radicular symptoms. Smaller thoracic discs are often incidental findings without cord compression but when they occupy more than 40% of the spinal canal on axial imaging then they can be defined as giant discs (Hott et al.). The surgical management of these discs represent a challenge because the disc cannot be approached posteriorly. Techniques have been developed to try to approach these discs from a more posterior approach with a lateral trajectory. They have also been approached thoracoscopically and in other more minimally invasive approaches. Posterior approach to the thoracic spine allows decompression posteriorly. Gaining entry to the vertebral body is possible from the posterior approach but it can be technically difficult to fully decompress the cord without iatrogenic injury. In general terms it is better to approach the side of maximal compression from the same side as the compression at the level of the spinal cord. The cord does not tolerate being moved especially when already at risk. The standard surgical technique remains a thoracotomy however and is described here. The giant herniated thoracic disc must be clearly identified. Checking the level in the thoracic spine is technically challenging and thus I employ the technique of marking a pedicle with a wire from a posterior approach first before proceeding to thoracotomy. Some centres will have the wire placed under CT guidance but I prefer to place my own wire so I know precisely where it is (pedicle above or below, left or right pedicle). The thoracotomy is undertaken through the rib bed and the rib excised to facilitate exposure. Partial vertebrectomy above and below is performed before excision of the disc. The size of the disc is carefully measure before attempting to approach the calcified herniation and deliver it into the prepared defect. An expectation for a possible dural tear and plan to dealing with it is required pre-operatively. Careful communication between surgeon, anaesthetist, and theatre team is paramount in this surgery. Left sided thoracotomy is shown here as that is the side of maximal compression. A left sided approach can also reduce the risk of iatrogenic injury to the thoracic duct, the inferior vena cava, or liver.